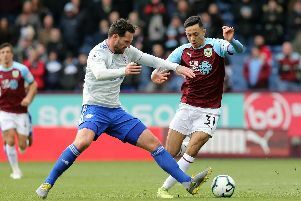 Burnley’s Chris Wood was delighted to join strike partner Ashley Barnes on double figures in the Premier League for the second season in succession. 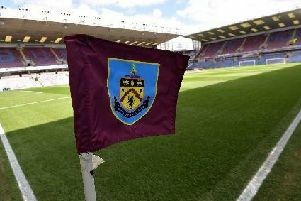 The New Zealander netted twice in a 2-0 win over Cardiff City at Turf Moor to equal Barnes’s 10-goal return and effectively secure another season in the top flight. The 27-year-old, former Leeds United forward, moved on to 13 for the campaign in all competitions, heading home from Dwight McNeil assists in each half. “It’s fantastic,” he said. “It’s another little milestone for myself. Having two strikers around the double figures mark is fantastic for the club. It’s put us in a good position. “They were both three yards out, which is nice. It’s nice getting those tap ins. Cardiff came and basically needed to win. They didn’t want to get opened up too early. Burnley are now 11 points clear of the Bluebirds, who take on Brighton in an ‘all or nothing’ game at the Amex Stadium on Tuesday evening. Wood accepts that recent results have helped in easing the pressure but he’s refusing to count his chickens until everything is settled mathematically. He said: “We’ve had a good few weeks, nice to get three wins on the bounce. We’re almost there now but not quite. “That shows the character of everyone around the club. The players, the staff and everyone around the club. It’s brilliant to bounce back so well.